Angle grinders are a versatile handheld power tool that are a valuable addition to any workshop. Also referred to as side grinders or disc grinders, these tools feature a geared head, mounted at a right angle, where you can attach a variety of discs. These discs are generally used for grinding and polishing, but today, there are also discs for sanding, cutting, and more. Angle grinders have a wide variety of applications, as they can be used to cut metal, concrete, tile, wood, and more. Whether you're looking for an angle grinder to use around the house or one for more heavy-duty jobs, the following are some of the best angle grinders you can buy today. For a top-rated, intuitive angle grinder that will serve you well no matter how you use it, one of your best options is the Makita 18-Volt LXT Lithium-Ion Brushless Cordless 4-1/2 in./5 in. Cut-Off/Angle Grinder. This mid-priced tool is powered by a battery (which is sold separately, unfortunately), meaning you won't be limited by a power cord, yet it still delivers big in terms of power and speed. This angle grinder weights just 5.6 pounds and can be used for grinding, cutting, and sanding various materials, such as tile, concrete, pipes, and more. What's cool is it features automatic speed change technology, which adjusts the speed and torque during operation for optimized performance, no matter what you're working on. Additionally, the tool’s brushless motor is electronically controlled to prolong battery life, lasting up to 50% longer per charge. Reviewers can't say enough good things about the power in quality of this tool. Many note that it is well balanced and lightweight, yet delivers impressive power that's perfect for tackling just about any job. You could easily spend a couple hundred dollars on a high-end angle grinder and all its attachments, but if you're just starting out with this tool, you may be better off with a budget options such as the Hitachi G12SR4 6.2-Amp 4-1/2-Inch Angle Grinder. ﻿This powerful angle grinder gets top marks from reviewers, and it comes with five abrasive discs, as well as a storage case. The Hitachi tool is compact and lightweight at just 4 pounds, which is great for control and versatility. Its unique side handle makes it comfortable for both right- and left-hand users, and it delivers impressive overload durability, increasing its reliability and lifespan. You can use this angle grinder on various metals, such as steel, bronze and aluminum, as well as slate, brick, and more. This affordable tool gets the seal of approval from professional welders and fabricators, who write it's a fantastic grinder that provides all the power you need at an unbeatable price. Cordless angle grinders are often beneficial, as they’re more portable and versatile since you’re not restricted by a power cord. For a high-end cordless angle grinder, you can't go wrong with the DEWALT 20-Volt MAX Lithium-Ion Cordless 4-1/2 in. Grinder. The downside of this product is that the batteries and chargers are sold separately, but you definitely won't be disappointed with a performance of this cordless tool. This grinder is perfect for a wide range of applications, including construction, maintenance, and even automotive work. It features a quick-change wheel release that allows you to switch disc without any tools, and the 8,000-RPM motor provides all the power you need for cutting and grinding a variety of materials. Reviewers agree this is a lightweight, versatile, and powerful angle grinder that you can use for a variety of applications. The only complaint about this tool is that it drains batteries fairly quickly, so you may need more than one on-hand for bigger jobs. Most angle grinders operate at just one speed, but if you're looking for a more versatile tool, you may want a variable speed angle grinder such as this one from Bosch. The Bosch 11 Amp 5 in. Corded Variable Speed Angle Grinder is a highly-rated product that can operate between 2,800 and 11,500 RPMs, making it suitable for a variety of applications. This tool has a variety of features that give it more power and more control than other options. For instance, it features a two-position vibration-control handle for your comfort, as well as directed airflow that blows dust away from vital components in order to extend the life of the tool. Additionally, it has up to two more amps of power than previous generations. Reviewers say this is one of the best grinders they've ever used and that the variable speed is incredibly helpful when working both around the house and in professional settings. Angle grinders are commonly used for welding applications, as they can smooth down rough metal surfaces with ease. If you're looking for a tool to help with welding projects, you may want to consider the Metabo W9-115 8.5 Amp 10,500 RPM Angle Grinder. This powerful grinder has 50% more torque, letting you make quick work of metal surfaces, as well as 20% higher overload capacity. It features a smaller, ergonomically designed body that allows you to grip it comfortably, and it’s designed to optimize airflow for extended operation. Reviewers, several of whom are welders, say this tool holds up better in many comparable products and the torque is unbeatable. 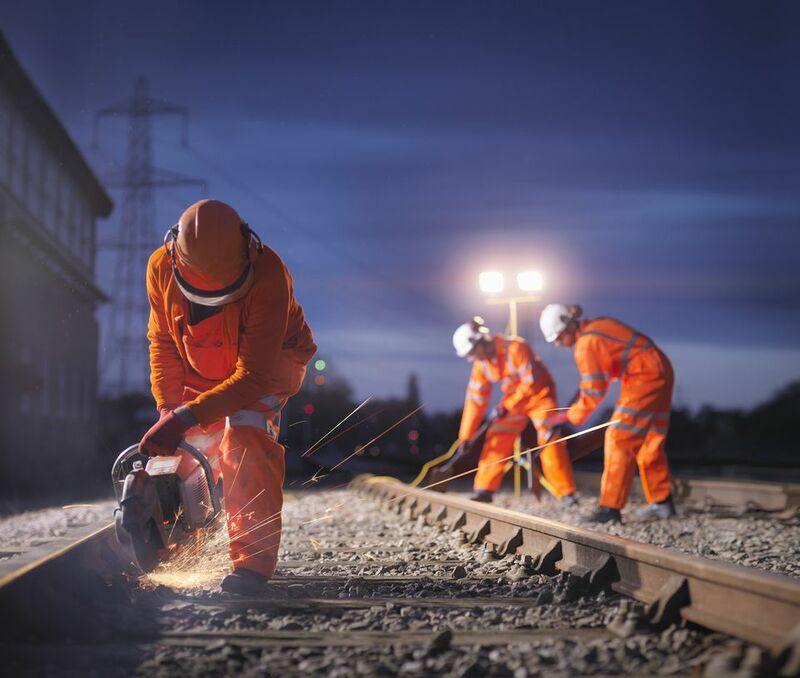 With the right disc attachment, angle grinders are even powerful enough to cut through concrete. If you're looking for a tool to help you grind down or slice through this tough material, you may want to opt for the DEWALT DWE402 4-1/2-Inch 11-Amp Paddle Switch Angle Grinder. This tool excels in terms of power to size ratio, delivering 11,000 RPMs at around 6 pounds. It has a two-position side handle for a comfortable grip, and its dust-ejection system helps to ensure particles do not enter the tool and compromise its lifespan. Reviewers say this grinder makes quick work of concrete surfaces, grinding down floors and cutting through sidewalks with ease. Plus, it’s surprisingly affordable, to boot. Many woodworkers use angle grinders to sand down their creations, but you shouldn't use a standard grinder for this type of application. Instead, it's best to get a tool specially-designed for use on wood, such as the King Arthur's Tools 1 Amp 2 in. Corded Mini Angle Grinder Merlin 2 Carving Set. While more expensive, this set comes with everything you need to create intricate details and smooth finishes on wood surfaces. The mini angle grinder uses just one amp of power, saving you energy, and the kit comes with six accessories, including course, medium, and fine sanding discs. Additionally, the grinder has a high-capacity fan and air vents that allow it to stay cool and be used for longer. 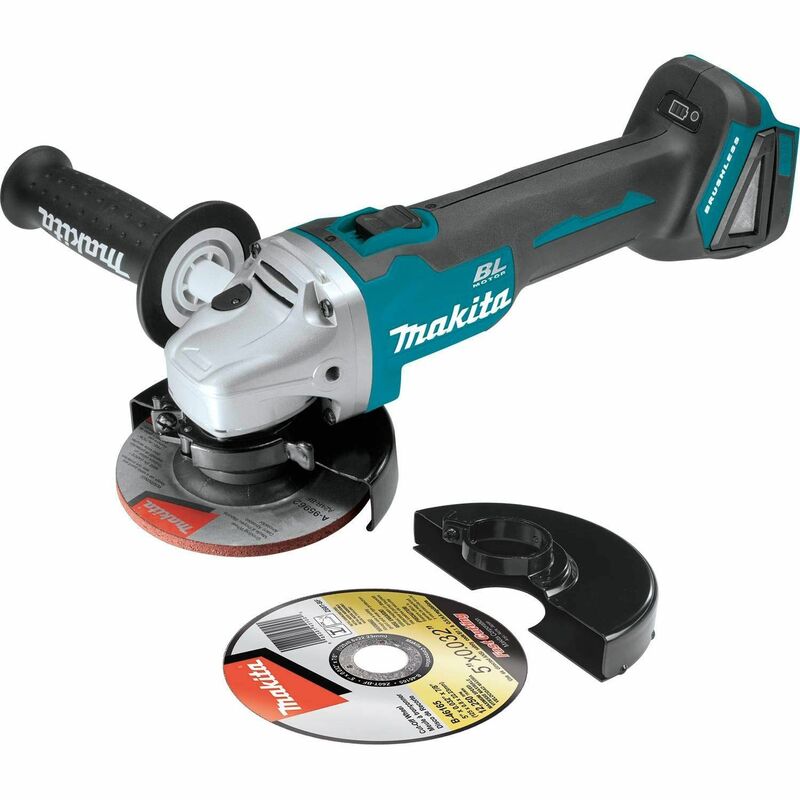 If you need an angle grinder to tackle projects around the house, reviewers highly recommend the affordable Makita 9557PBX1 4-1/2-Inch Angle Grinder. While it only has a 7.5-amp motor and a small barrel grip, happy buyers say it does great on a variety of home projects. ﻿Addition to the tool, this product comes with five grinding wheels, as well as a metal tool case to store everything in— perfect for your home workshop. The angle grinder can be used for a variety of cutting, polishing, and grinding applications. Reviewers have used it to cut tile, remove rust from cars, grind down concrete, and more. It really does it all! Our writers spent 2 hours researching the most popular angle grinders on the market. Before making their final recommendations, they considered 14 different angle grinders overall, screened options from 8 different brands and manufacturers and read over 40 user reviews (both positive and negative). All of this research adds up to recommendations you can trust.